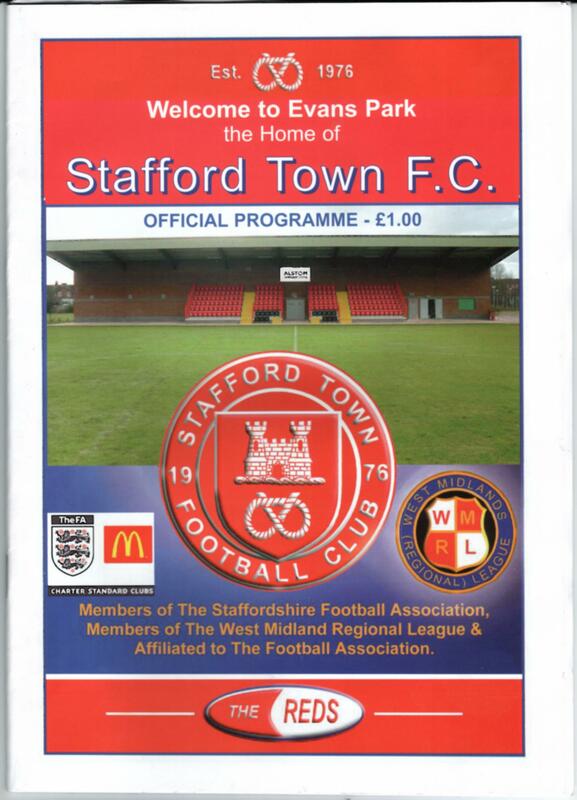 Stafford Town, founded 1976, are in only their second season back in the pyramid at step six or above. They have been there before, but had to share with Stafford Rangers’ Marston Road ground, in order to be eligible. The turn of the century was their highest elevation when they played in the step five Midland Alliance. 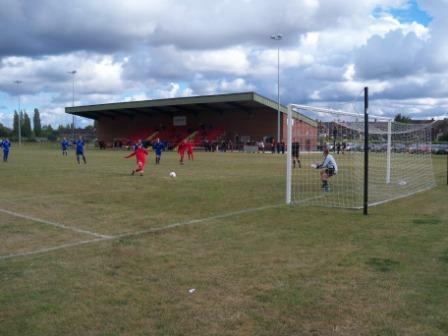 In the 2000s they opted to go back to the West Midlands League Division One (step seven), playing at the Rowley Park Stadium, a municipal sports facility. In 2009-10 they had a new stadium built, named after their founder and still chairman Gordon Evans. They played their first game there near the end of their season and, coincidentally, also got promoted to the Premier step six division, and obviously had no problem meeting the grading requirements this time. So last season Stafford Town leapt in to my top 40 (all grounds at step six and above below 40 miles away) as the nearest ground not visited. 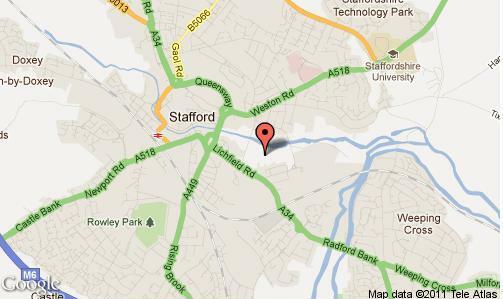 Evans Park is quite close to the centre of Stafford off Riverway, just off the ring road. A small road winds round the cricket club to the ground. I’m not normally a fan of new builds, but there’s something about Evans Park that I really liked. I can’t quite put my finger on it. When i went it was a sunny warm day which helps, but it just seems to have a good aura about it. As you come in you have the large brick clubhouse and stand to the right. To the left is the cricket ground which backs on to it. A wooded area frames the other two sides. A hundred or so covered seats stick out from the clubhouse in the middle, with plenty of room for more if needed. Last season Stafford Town ended up between middle and bottom in a season that started with an unbelievable amount of goals. They lost 6-5 to Gornal and 2-7 at home to Shifnal; just two examples of the sort of scorelines they were getting weekly. 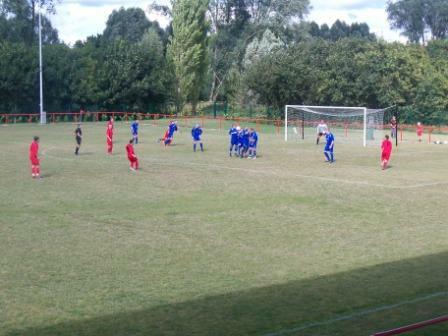 Their defence seems to be more sorted now and they gave Dudley a lesson in finishing today as they scored two free-kicks and a penalty on the way to a comprehensive 4-1 win. It was an entertaining game, well worth the money. The ground is very tidy and welcoming. 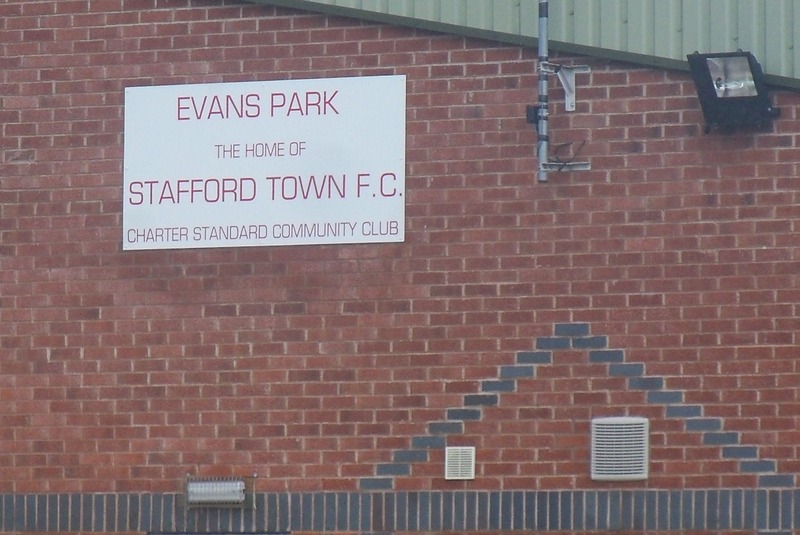 This entry was posted in Groundhopping, Non-League, Travelog and tagged Dudley Town, Evans Park, Non-League, Stafford Town, west midlands regional league. Bookmark the permalink.